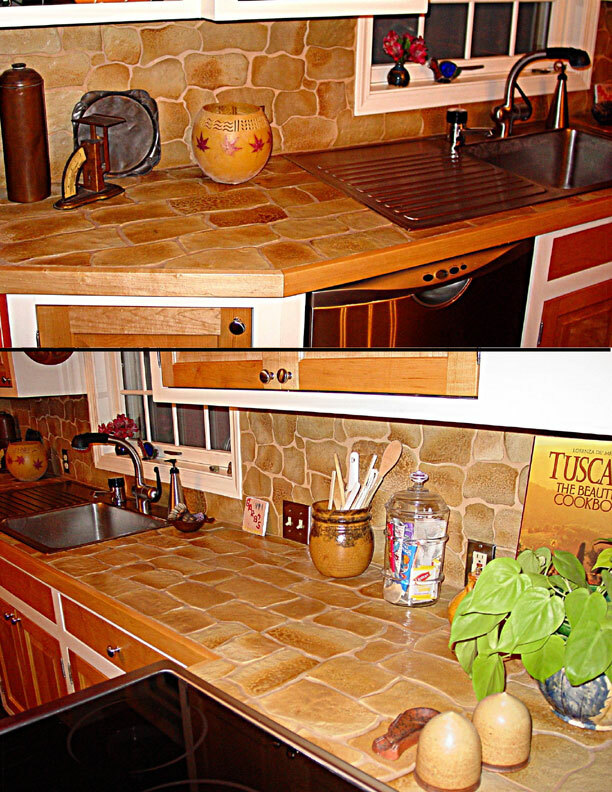 One of the most important things that you can do to keep your stone countertop looking new is to care for it properly. Some types of stone countertops require detailed maintenance at regular intervals in order to keep the stone of the countertop in the best shape and if this regular maintenance is ignored, then the stone will begin to look old and worn and could even chip or break because of the neglect. Caring for stone countertops properly is not difficult or time consuming and performing the maintenance on a regular basis can extend the life of your stone countertop by many years. The first thing that a homeowner should be concerned about when caring for their stone countertop is keeping the countertop clean and free of stains. Many types of stone countertops are not stain resistant so if any liquid or food item is left to dry on the countertop, then the countertop can be stained beyond repair. Anything that is spilled on the surface of the stone countertop should be cleaned up immediately to ensure that it will not leave stains on your beautiful countertop. There are many different types of cleaning solutions available for cleaning different types of stone countertops correctly. Although these cleaning solutions are recommended for some of the more expensive types of stone countertops, many countertops can be cleaned with a simple solution of soap and water. Cleaning solutions that contain harsh chemicals, such as bleach and chemical detergents, are not recommended for use on stone countertops as they can damage the finish and change the color of the stone. Some types of stone countertops are considered to be non-porous, meaning that liquids will not be absorbed into the countertop surface where it could grow mold and bacteria. The type of sealant that is used to seal the surface of the countertop will help to ensure that water and other liquids are kept away from the surface of the stone and cracks or gouges in the layer of sealant may provide a perfect place for harmful bacteria to grow. It is important to remove any standing water or liquids from all cracks and crevasses of the countertop to prevent mold growth from occurring. The homeowner may be required to reseal the stone countertop at regular intervals to replace the areas of the sealant that have become worn down and thin. The manufacturer's instructions for the care of the stone countertop will detail the procedure for resealing the countertop, including what materials will be needed and how often the countertop should be resealed. Some stone countertops require resealing every few years while others can last as many as ten before it will need to be resealed again.